Mattress America comes with pretty much all essential features of a mid-range adjustable bed. Perhaps, it has been neatly designed to include only mandatory features but with utmost perfection. Just take a quick look at the following feature summary. The head section in Mattress America adjustable bed can be tilted all the way up to 60 degrees and the feet section up to 45 degrees. But the biggest takeway from these adjustments is that there are dedicated option on the remote control which help adjusting head and feet section both separately as well as combined. Yes, the head and feet sections can be simultaneously adjusted and this, in fact, allows to you to attain perfect zero-gravity position that best suits your precise height. The motors fitted to each individual bed unit have a lifting of 750 lbs which is standard and equal to that of most mid-range adjustable beds. 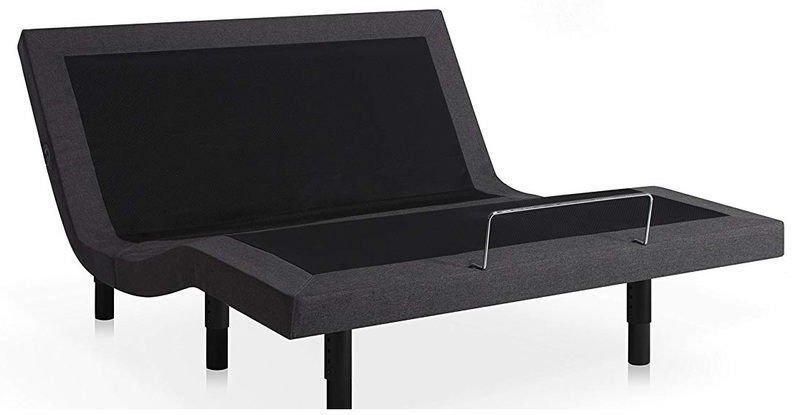 Only high-end adjustable beds offer 850 lbs lift capacity. Mattress America offers wireless backlit remote control with as many as 19 dedicated options. These include options to adjust head and feet sections separately as well as simultaneously. Perhaps, the only downside if we have to talk about is the number of preset positions. Flat, is the only preset position that it has to offer. However, Mattress America comes with 3 memory programmable positions while other adjustable beds in this price range offer at the maximum only 2 positions. Whats the advantage having only 1 preset position but 3 memory savable positions? While anti-snore and zero-gravity are preset positions that most adjustable beds do offer but their angles do differ from person to person. Hence, it is best to exclude them from the remote and instead increase the memory programmable positions. This ensures that these positions can be tuned and saved as per each person's desired angles. In some adjustable beds in this price range, massage functionality is included just for the sake of including it. Performance of massage motors in such beds remains sub-standard and noisy as well. However, massage motors installed in Mattress America are powerful yet silent. Dual massage functionality means dedicated massage motors installed for both head and feet sections. Another takeaway is that massage intensity can be separately adjusted for head and feet sections. While every other adjustable bed offers 3 levels of massage intensity (low, medium and high) but adjusting them separately for head and feet sections is only unique to Mattress America. This particular feature is not available even in high-end adjustable beds like Reverie and Leggett & Platt. Massage functionality in any adjustable bed cannot be said to be at full scale unless it also includes massage timers. 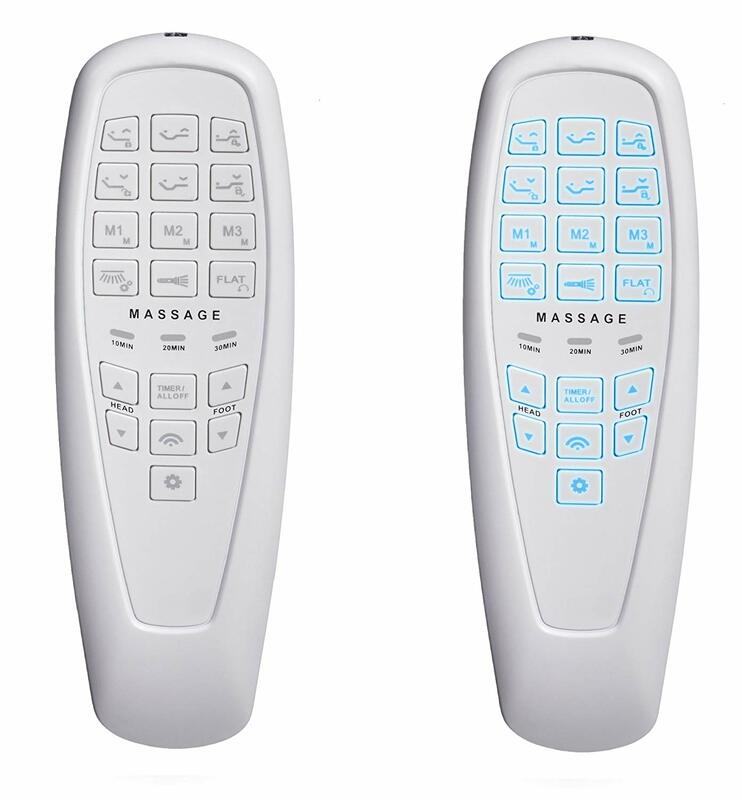 Offering different massage types with varying intensity levels is part of all adjustable beds but only few offer massage timers as well. This is yet another meticulously designed feature in Mattress America adjustable beds. There are 4 USB ports for each bed frame with 2 ports on each side. 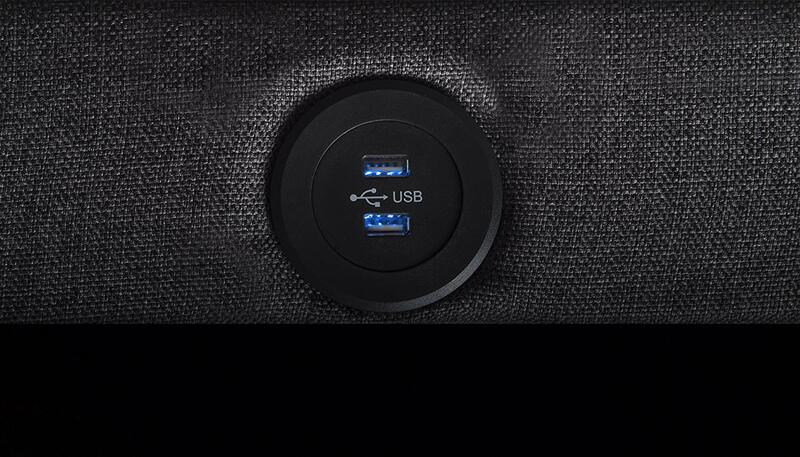 This means that even if one side is pushed to the wall, the other side offers you 2 USB ports at anytime. This is why in the very introduction, I mentioned it as meticulous designed with utmost perfection. All present day adjustable beds irrespective of their price range are now coming with under-the-bed lighting system. But not all of them have to offer both under-the-bed lightig as well as Flashlight. 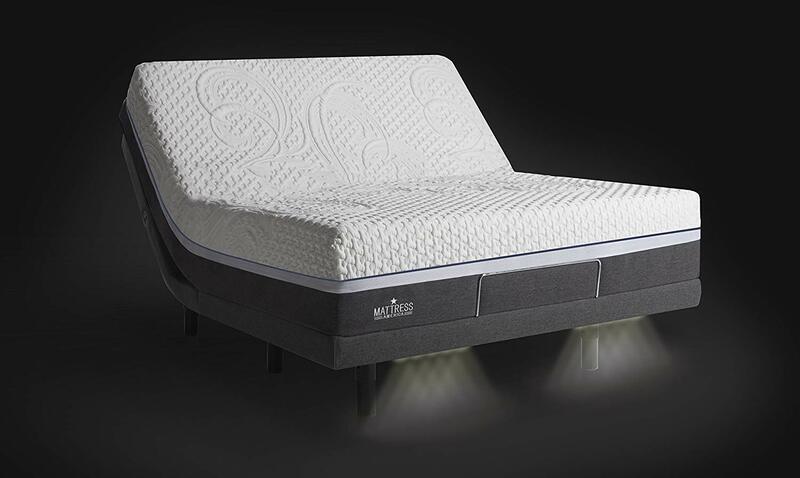 Mattress America is one of the very few beds on the market that offers both under-bed lighting and Flashlight from remote control. Mattress America offers per inch inch adjustability between 6.5 inches to 10.5 inches. There are total 5 points at each inch to select your desired height. With 6 leg support system, the frame remains quite sturdy and can comfortable withstand weights while performing adjustments or when massage functionality is running. It comes with standard mattress retainer bar at feet level. Mattress America adjustable bed comes with 15-Year warranty which is again almost the highest as per industry standards. Other adjustable beds offer either 5-Year or 10-Year warranty. As mentioned in the introduction, Mattress America with the given feature set justifies every penny of your investment. The features, especially the performance of massage motors is relatively better than most other adjustable beds in this price range. Above all, it has secured very good customer rating within a very short span.